I've never heard of a BL-6C battery. 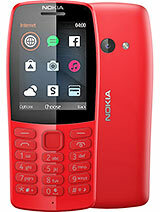 Does Nokia 112 support SWF format files? And internet service is closed and not working. My Nokia 112 are not Enter in the Internet what i ca do? Samiran, 10 Jan 2016How to use ebuddy chat it is preinstalled on my phone but i cannot use it after sometime of op... moreNokia 112 Software upadate has been discontinued ,so nokia pre-installed apps include nokia browser is not supported. areef, 15 Nov 2016sir, my phone nokia 112. it's internet browser doesn't work,facebook app when it opened it wou... moreI think your Nokia certificates delete or lost.Go to Settings>security>authority certificates and you can check all certificates. dave, 18 Mar 2017the phone is absolutely fine bt ihave issues with internet as it keeps telling me that error a... moreGoto device>device updates>download device software and click download device software option.